Here's a delightful little watch I carried recently. 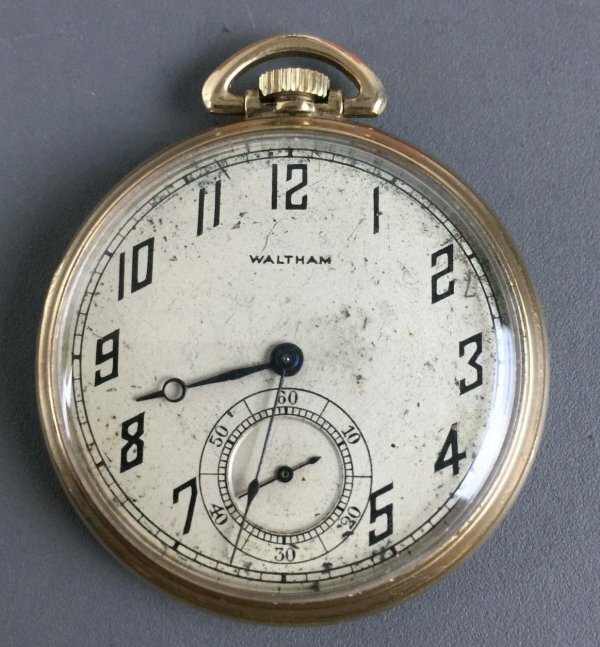 It's a Waltham Riverside Model 1894 19 jewel 12 size, made in 1922. 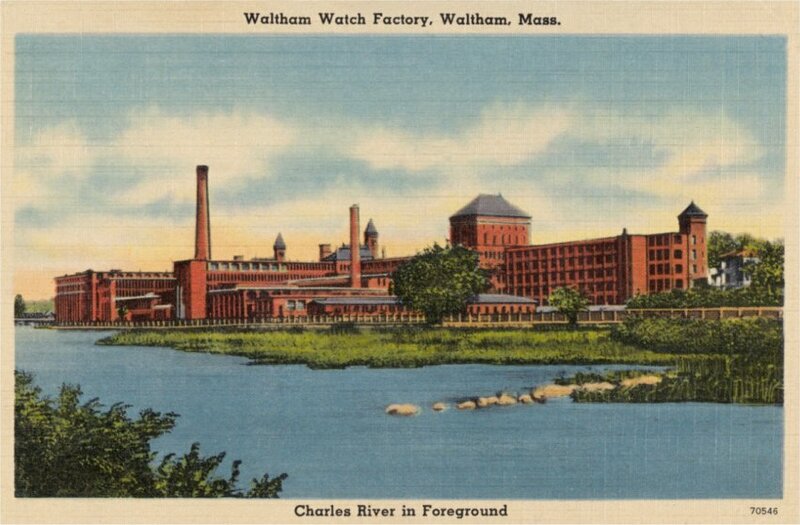 Waltham made a wide variety of watches in different sizes and models that carried the Riverside name. They were generally of a high grade. This example is housed in a nice slim Keystone "Victory" 10Kt RGP case which measures 44.5mm in diameter and is 7.5mm thick. 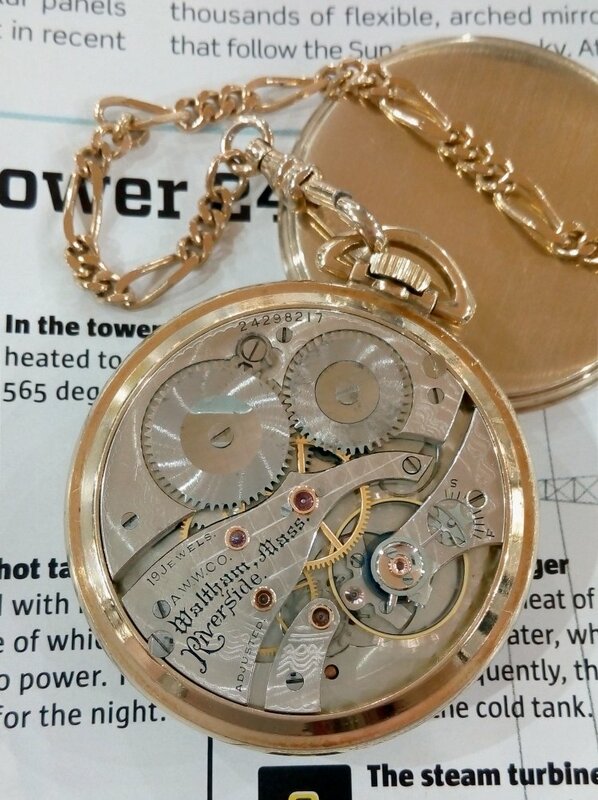 The movement is a very well finished 19 jewel Model 1894 with jeweled main wheel and Waltham's Patent Star fine regulator. Whilst the movement is marked only "adjusted" it is listed as P grade material which indicates it was adjusted to temperature and 5 positions. 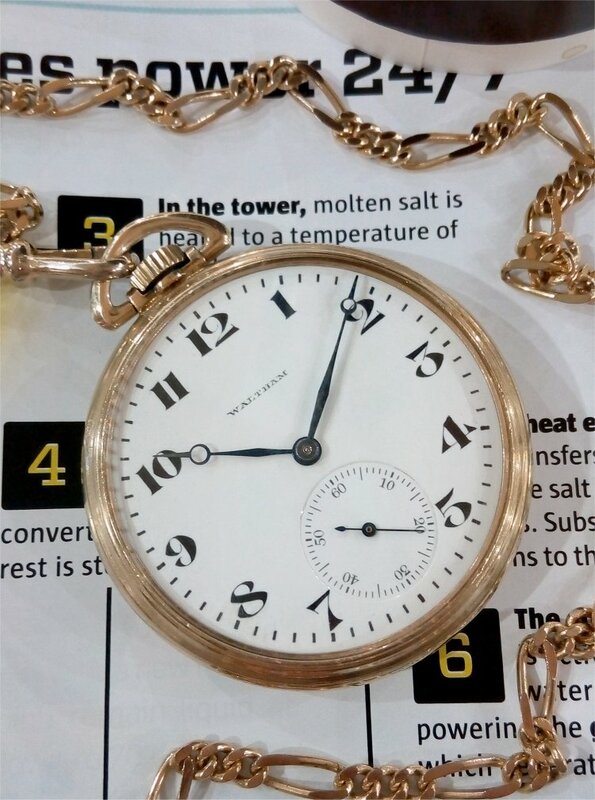 The total production of these 19j Model 1894 Riverside movements was 48,000. Whilst the movement was in good cosmetic condition it required quite a bit of work when I sent it to Rob B for servicing. This is more often than not the case is and generally due to poor repair work in the past. In this case the watch was not running well and had a bent hairpring that required a lot of work to straighten. The movement had already had a new white mainspring fitted but with no lubrication, which needed to be rectified. The hour wheel was damaged and needed to be replaced. The watch also received a new crystal and a replacement set of hands was fitted. Something that was frankly odd was that the inside of the caseback had been painted brown. There was no obvious reason why this had been done as when Rob cleaned the paint off the caseback was fine. The things people do to watches! 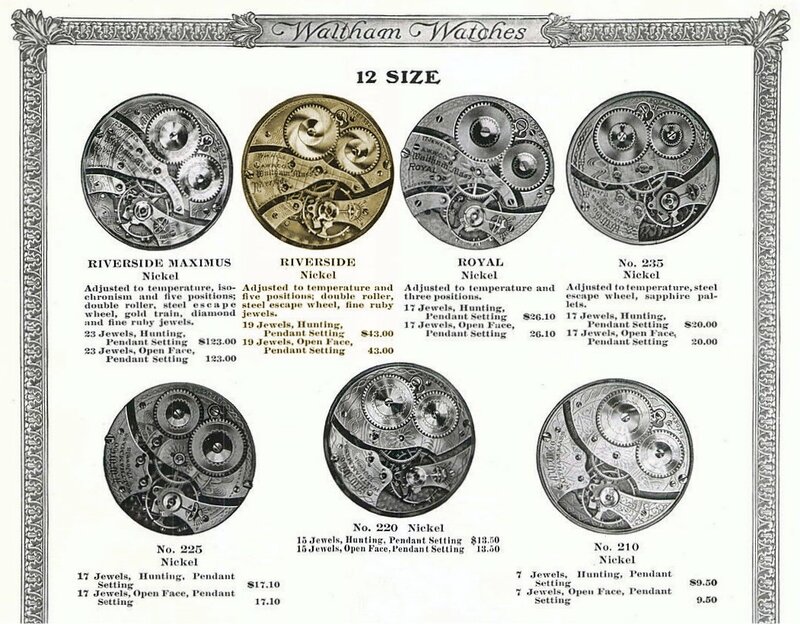 This cataloge page gives an idea of the various Waltham 12 size movement grades and their prices. The 19j Riverside is highlighted. The watch didn't look quite the same when I bought it. Below is a sellers pic of the watch as sold. As you can see the original metal dial was quite damaged. 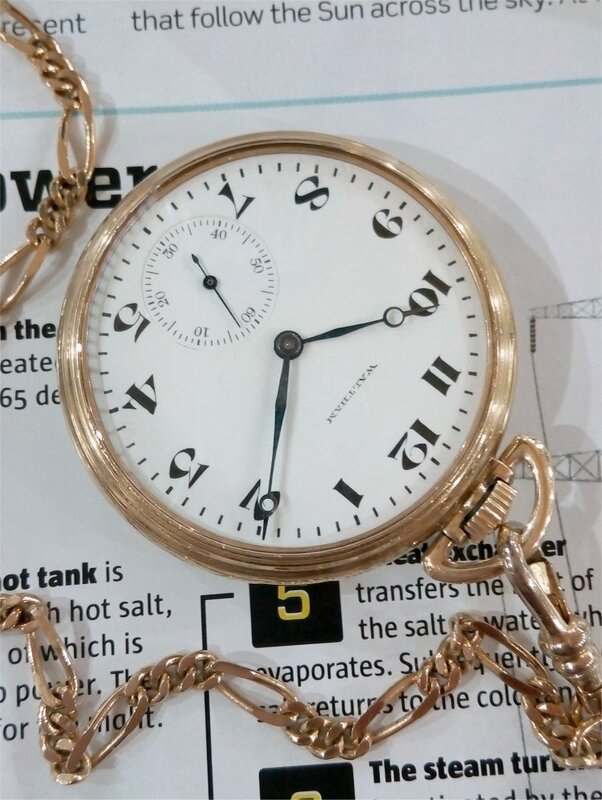 I acquired the watch as a project as the movement and case appeared to be in good condition. The dial was replaced by one from a batch of new old stock 12 size Waltham dials Rob and I had acquired some time before. 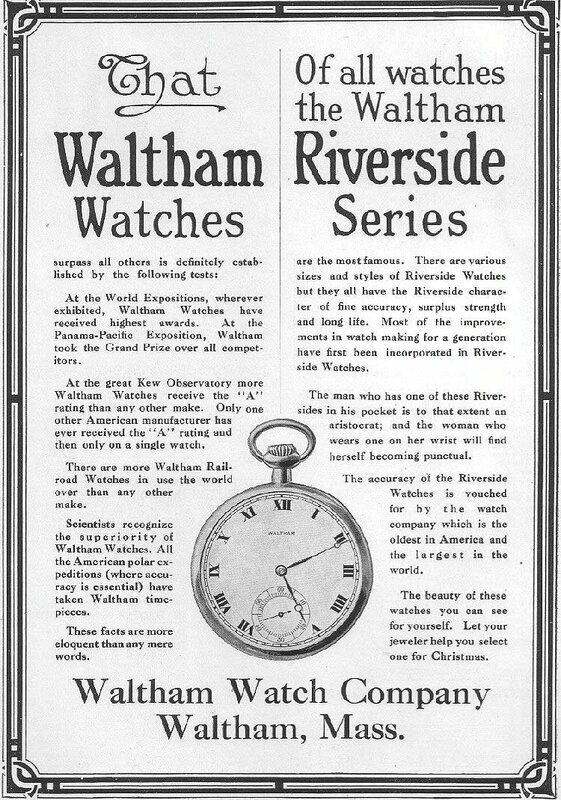 This 1915 Waltham ad from National Geographic magazine extolls the virtues of the Riverside series of watches.